Get On the Horn and Call Now! With the reputation as the most difficult and dangerous to pursue, the Big 5 were once the most wanted game trophies in Africa. Conservation efforts are in full effect, and today these now "famous five" are among the most photographed in Africa. 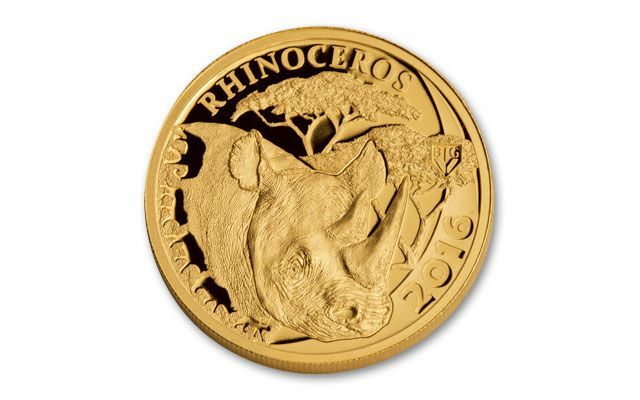 It comes as no surprise that they're honored in the Serengeti proof series. The rhino is the third release of five to reach American soil. Those who have already seized the lion and elephant from this series have been waiting for the black rhinoceros, the most endangered of the Big 5. 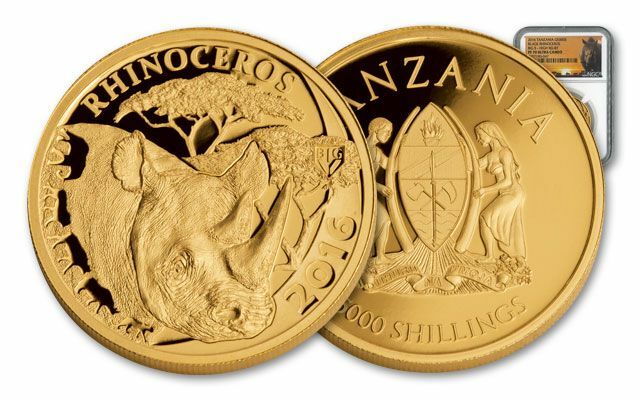 Struck in one ounce of 99.99% pure gold, each 5,000 Shillings legal-tender coin captures the spirit of the Serengeti. 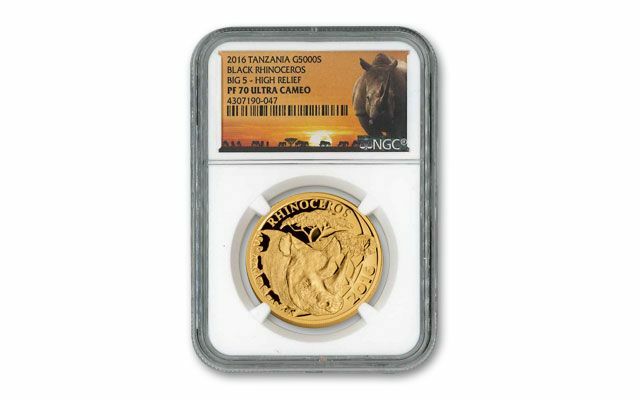 The rhino is depicted on the reverse with a background of acacia trees. Each is graded perfect Proof-70 (PF70) by Numismatic Guaranty Corporation (NGC). Comes in a capsule with a certificate of authenticity. 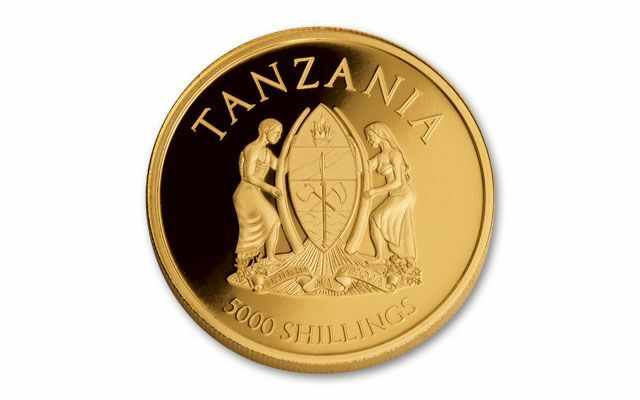 The mintage is limited to only 25,000. Call now to beat the stampede.